I would like to welcome our newest dealer, The Reel Seat in Brielle, NJ. I just dropped off some needlefish to them. 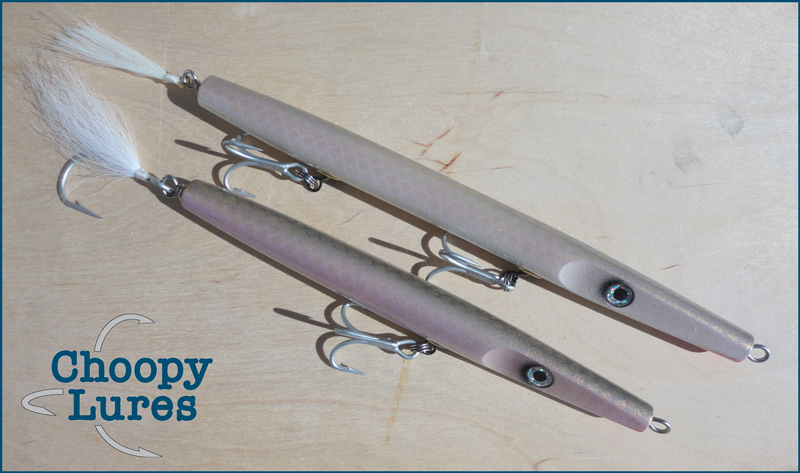 They now have a good selection of 1 1/2 oz and 2 oz needlefish, which are some of the most popular needlefish here in NJ. They will fish the sand, jetties and everything in between very well. They asked me to do a color that I am pretty excited about. They wanted a goldish brown with a white belly. The color request reminded me of those pale sand eels that are tannish with a purplish hue on the side. So that's what I painted. I think that they came out pretty well. This is a totally new/custom color, so stop by their shop and check them out!